One of our favorite tools, now exclusively for business: Evernote Business – your company, only smarter. 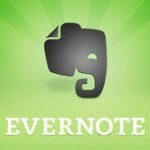 This amazing online tool comes available to you from evernote.com/business at only $10.00/user/month. With this you are able to centralize your company’s knowledge. From your company’s home, browse and join every notebook shared with your company and view the profiles of co-workers, including their shared content and recent activity. Hate creating presentations? Present your ideas in one click – rather than putting all your hard found research into a presentation, use the presentation mode to easily show your notes in a full screen layout. On the move? You are able to gain quick access anywhere on any device – even offline. Evernote is a powerful tool that we use every day but most entrepreneurs don’t realize just how useful this tool can be in their business. Below are just a few ways you can put this versatile workhorse to work for you!